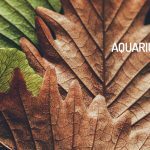 Here is your Aquarius Horoscope for October 2018. Every month, you will find at WeMystic the astrological forecasts for your zodiac sign. Juno, asteroid of engagement, will regress in House V of Aquarius from October 11 to 23, which may indicate fear of commitment, or (hidden) resentment towards the life companion motivated by (supposedly) imposed obligations. Juno’s apparent regression may lead you to believe that romance has been lost, and in the case of couples with children, to enter into power struggles with their descendants, and the responsibility that comes with upbringing. However, it is important to remember that what happens outside is a reflection of what happens inside of you, in other words, you recriminate others to avoid paying attention to your desires or taking responsibility for your own path. Neptune and Chiron will continue to retrograde in House II of Aquarius, during the month of October, a planetary alignment that invites us to trust in concrete actions and not to place hopes in the hands of luck. This does not mean that you forget your dreams or aspirations, on the contrary, it is about internalizing that you must build your goals from the ground up, and not expect everything to happen by magic, and without your intervention. The presence of asteroid Palas in House VIII of Aquarius indicates that, when designing a financial plan, it is advisable to pay attention to the contributions of the couple or relatives with more experience. It is important to broaden your perspectives on this subject and not to confine yourself to the fact that you are the absolute master of reason. Knowing other points of view will be a great incentive for your creativity. In the workplace, from October 5 to 30, Venus’ retrogradation will take place in House X of Aquarius, where Jupiter, the planet of expansion, is also present. It is worth noting that also in House X of Aquarius, will be the Sun (from 23/10), Mercury (from 09 to 30/10), and the Venus Star Point will occur on 26 October. The apparent regression of Venus in House X of Aquarius indicates that, on the professional plane, you are paying more attention to appearances (status, image) than to the essence of the matter (your true vocation). It doesn’t mean that you should work for less or give away your work, but it does mean recognizing the importance of dedicating yourself to what you are passionate about (as the saying goes: “if you work in what you love, you won’t work a day”). Likewise, Venus retrograde in House X, aims to neglect the preparation necessary to achieve your goals. In this sense, the Venus Star Point (26/10) will be the central axis of the season. The Venus Star Point is an astrological phenomenon (conjunction Sun – Venus) that is characterized by revealing the true desires of the soul. As in this opportunity, the event will touch your House X, we talk about vocation, professional aspirations and how you want to advance in life. Additionally, with the Sun and Mercury visiting this sector of your astral map, no matter how much you want to cling to preconceived plans, the truth will open up, showing what you really value. We cannot forget that the dwarf planet Ceres is located in House IX of Aquarius, sector of the astral map in which the Sun will be until 22/10, and where the New Moon of October 8 will be produced. With these alignments, the native will focus on activities that provide greater preparation for the future (improving the curriculum, acquiring new skills), and will consider the option of expanding into new destinations (travel, moving or international treaties). The planetary movements in House IX of Aquarius, will benefit the students of the sign, who will be more dedicated than ever to academic activities, and eager to expand horizons (participation in conferences, competitions for the award of scholarships, among others). The natives of Aquarius will have no major health problems during the month of October. However, it is convenient to remember that Uranus (regent planet of the water carrier) is fulfilling its annual process of retrogradation, which can bring certain inconveniences. The apparent retreat of the planet of change translates into a high activity of the psychic plane. As this transit takes place under the influence of Taurus, the subject will feel confronted with his deepest beliefs, especially those constructed by the family of origin (retrograde Uranus in House IV of Aquarius). It should be noted that the retrogradation of Uranus in Taurus can affect the relationship that the native maintains with food, so that the appearance of eating disorders or weight, are a strong possibility. It is also recommended to pay attention to blood sugar levels (glucose), muscle injuries in the neck and shoulder area, or throat conditions. Another aspect that you must take into consideration during this period of the year is the presence of Pluto and Saturn in the 12th House of Aquarius, now in a direct phase, signaling a great potential for transformation. Saturn in House XII inclines the individual to enjoy solitude, as part of the process of self-knowledge and reconnection with one’s own essence; while Pluto confers a greater psychological perception of the various aspects of life, especially past events. Keep in mind that the asteroid Vesta is also found in the 12th House of Aquarius, so we are talking about a propitious time to participate in psychological therapy sessions, or spiritual healing consultations. If you are attracted to mystical or esoteric themes, the available alignments encourage exploration of these themes, as well as therapies associated with balancing chakras, past lives and energy balance. It is important that, if you decide to join a spiritual study group, or join the disciples of a particular guru, you are clear about what you expect from your search process and listen to your intuition, thus avoiding connecting with unscrupulous people.